Prep tables come in various shapes and styles with numerous accessories. It can be challenging to know what pieces and configurations are necessary when you just need a prep table for your pizza restaurant. We’ve narrowed it down to a list of eight must-haves. 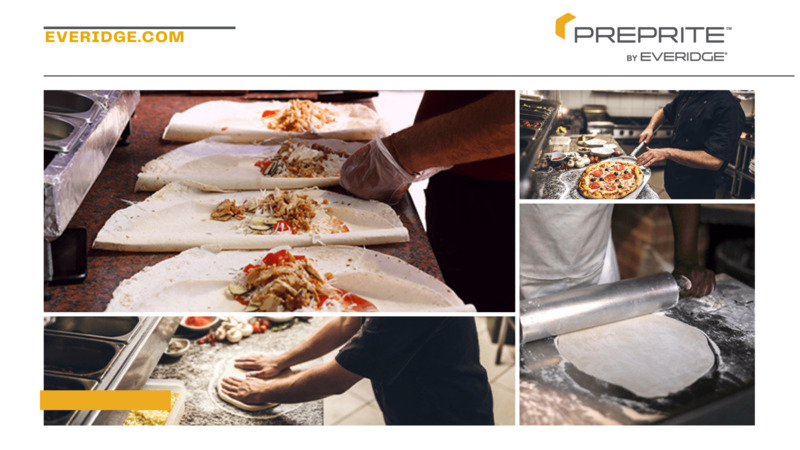 We’ll start with the essentials that every pizza prep table needs and then move to extras that will help streamline the preparation process for you and your staff. A cold prep table will do you no good if it doesn’t provide ample space for your preparation process. Look for a pizza prep table with pan capacity for your needs. Pizza toppings must be kept below 41 degrees Fahrenheit and above freezing to comply with food safety standards, so a refrigerated ingredients rail is another necessity. As a bonus, look for prep tables with a condiment rail that’s raised 4-8 inches above the worktop for a wider workspace that makes pizza topping easier. Every pizza restaurant knows the secret to good pizza is in the dough. Ambient dough drawers will protect the pizza dough and allow it to be kept at the perfect temperature during the preparation period. It’s important for food safety and health codes that you find a prep table that’s easy to clean. A material such as stainless steel or granite can be easily cleaned with soap and water and will not trap harmful bacteria. The ability to move the prep table is ideal for catering needs or simply for making it easier to clean behind and underneath. 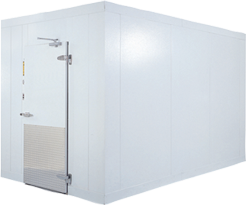 Make sure those casters are heavy duty and lockable, as you’ll also want to be able to lock the unit in place during your prep process. Being able to quickly and easily control the temperatures via electronic controls will give you immediate peace of mind. Prep tables that allow you to adjust every section from the condiment rail to the dough drawers are ideal. Foodservice needs fluctuate, and you want your investment to fit future staff changes or capacity increases. Look for a table that has interchangeable doors, drawers and rails so it can meet your unforeseen future needs. Because a prep table is considered the “work horse” of a kitchen, durability is the final must-have. Don’t hesitate to ask about durability testing when you’re shopping for pizza prep tables. A product with a manufacturer’s warranty is a good indication of a well-tested product. Our ThermalRite cold prep tables are perfect for pizza restaurants, and their flexible design options allow you to fully customize a unit to fit your every need, from the table configuration to the backsplash. Take a look at the product details to learn more.